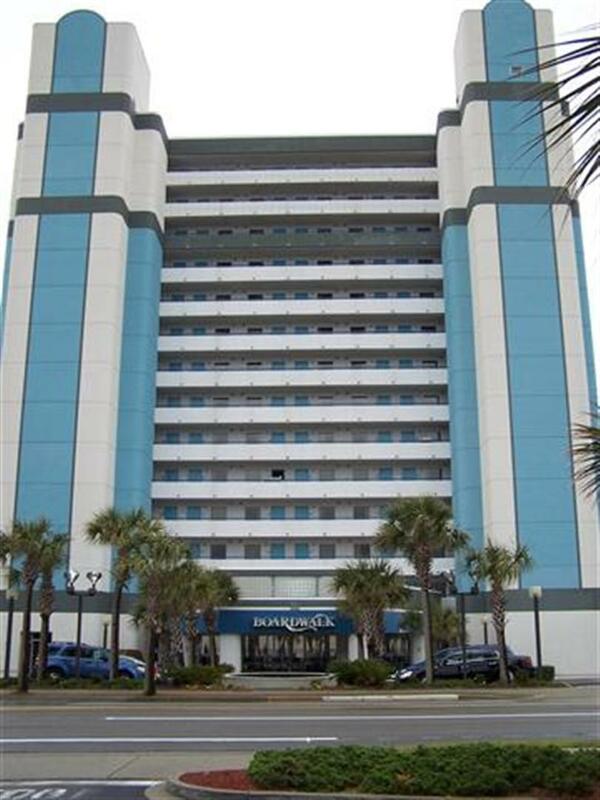 "Stayed here during Atlantic Bike Week, and the room was good and Spacious, which is located right on the North end of the strip (Ocean Blvd)-with a few restaurants and stores within walking distance to it. The room is dated, but the entire hotel is older than the other places so it was ok. Had issues with WiFi connectivity through the hotel, but it may have been due to the heavy internet traffic of users. Room was clean, but it was difficult to get clean towels when needed. Took advantage of the pools and lazy river....very nice with direct access to beach. The rental property staff was exceptional and were there to help with all of our needs in a timely manner...I would definitively rent from them again!" "The unit was not really up to par with the type of vacation rentals we are used to. Hotel noises like slamming doors were noticeable and the air conditioners were noisy and right next to one of the beds which makes it impossible to use that side of the bed. There didn't appear to be any security in the building. Access to the building was open to anyone who wanted to enter. There was no supervision for the pools. People bringing babies in diapers in the pools. We were given blue wrist bands to wear, but noticed few people wearing them in the pool area or on the grassy area. The bathroom was small. The room was advertised to hold 6-8 people, but with only one small bathroom more than four would be pushing it." "It was a smooth process, no problems. The condos definitely need updating." "Wanted to take my mom for a weekend getaway but couldn't go over Mother's Day... totally forgot that it was biker week... ended up being NO PROBLEM.. in fact it was exciting! " "Great property perfect location, grounds were kept very clean. We loved the lazy river and pool area. The only thing that could improve the stay would be if all the units had a washer/dryer combo that would be really nice for wet towels from beach and pool. We really loved the property and would recommend it to our friends." "Location is the best part of this property." "Excellent rental. Owner was excellent to work with and we loved the rental." "We had a great vacation location was great and in walkn distance from everything to do. Room was great loved the layout of the condo, plenty of cooking dishes and silverware. Our place was very clean, we will b back to stay in same condo. A big thanks to Denny who was so very nice and helpful for everything." "This is a nice unit. It was clean and as described on the Internet. The boardwalk is within walking distance. There was a little confusion on the check in process, but other than that, the owner was easy to work with. A biker event began during the last part of our stay. No problems, just a lot more people on the sidewalks at times and more traffic. " "painting hall way floors while guest were there???? ?,maids would,nt give me a garbage bag because i was renting from a private owner.but, over all good time....maintenance people always cleaning the pool and grounds"